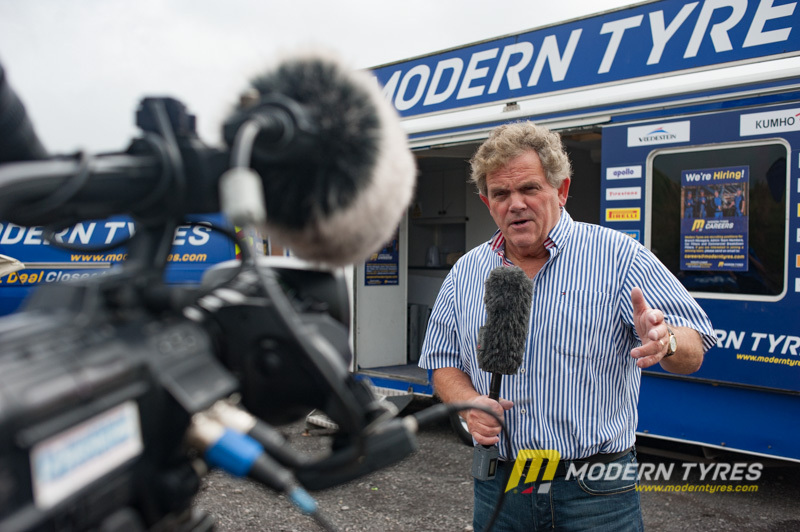 Throughout the year, Modern Tyres participates in fundraising for numerous charities wether it be local or national. 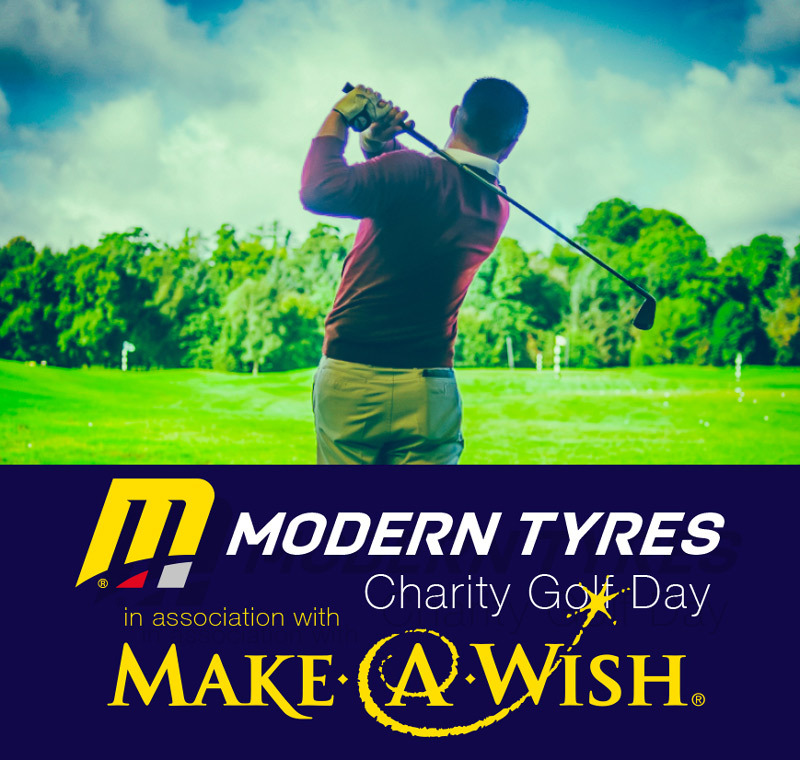 The Make A Wish Foundation is Modern Tyres chosen Charity for focused fundraising events and this year we came up with something special. 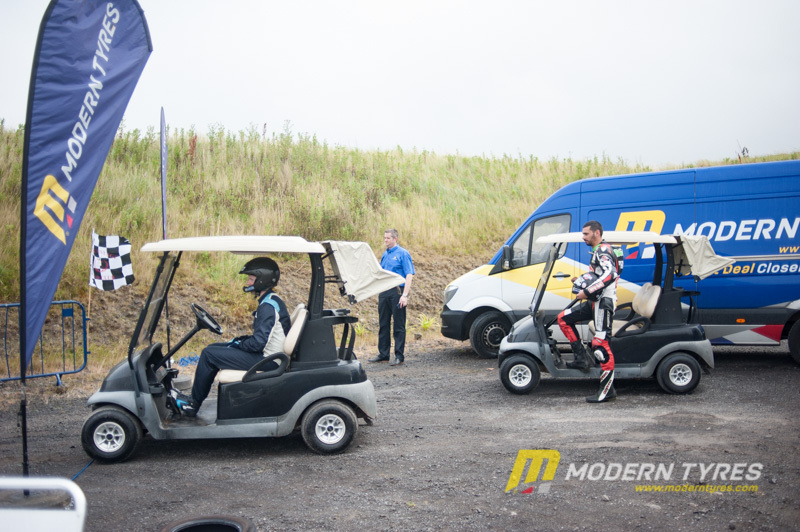 Brainchild of Modern Tyres Marketing and Sales Manager, Stephen Shaw, the Golf Cart Challenge was somewhat of a challenge in itself. Getting not one, but two sporting greats and one great sport to the same place at the same time was quite a feat. Of course, we are talking about Alastair Fisher, Derek Sheils and Adrian Logan. On arrival, Stephen, Adrian and the production crew where enjoying some well deserved morning coffee and it wasn’t long before the two sporting greats arrived. 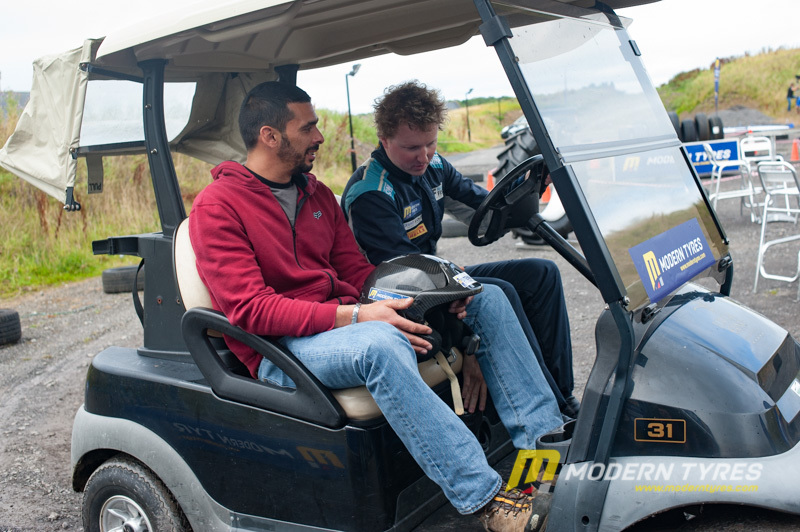 Derek had taken time out from practicing for the Ulster Grand Prix while Alastair had also taken time out preparing for the Ulster Rally. 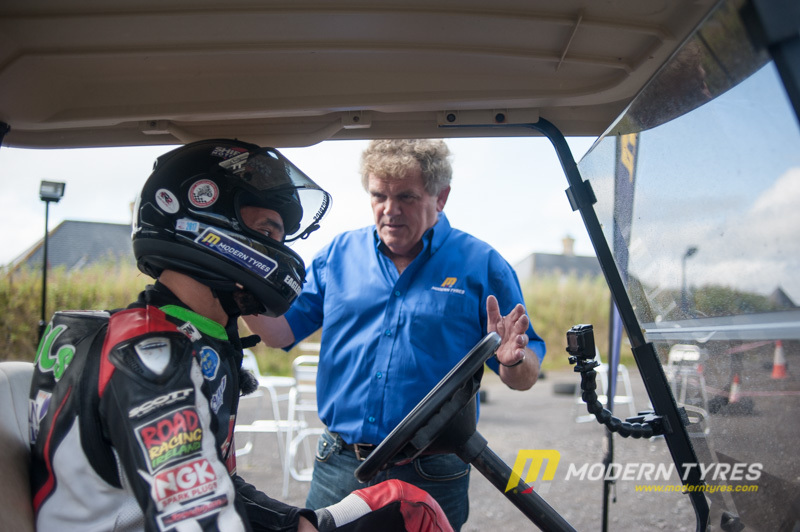 With several practice laps under their belts, Derek and Alastair started their timed sessions with unusual mentoring from Adrian Logan. 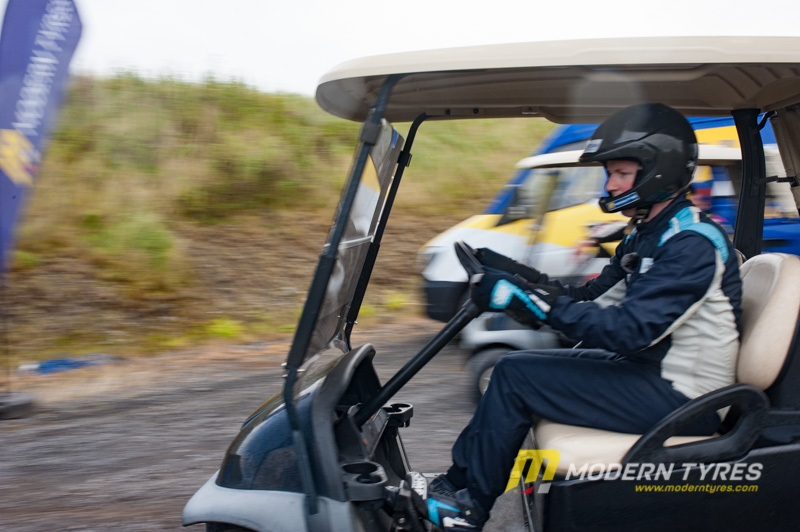 The Golf carts actually moved remarkably fast contrary to popular perception. 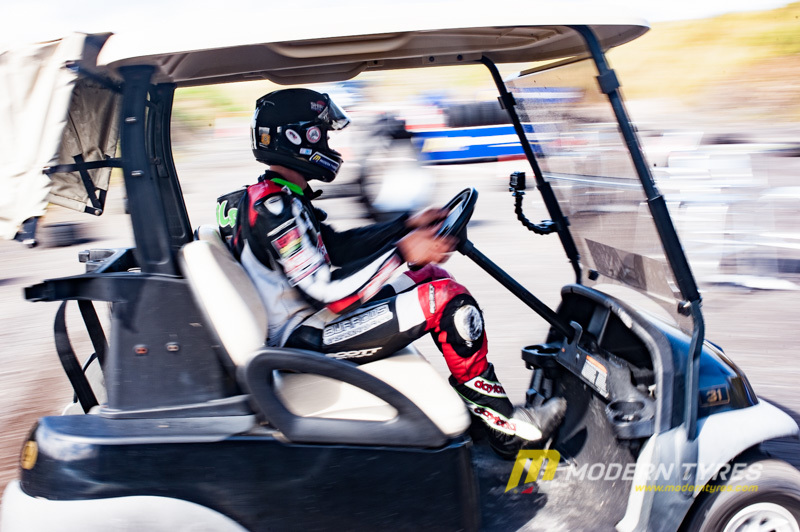 It didn’t take long for either driver to get a hang of controlling the carts and some fast paced lap times were set. With the exception of one lap where the cart seemed to have stalled, the lap times set by both drivers were consistently close. 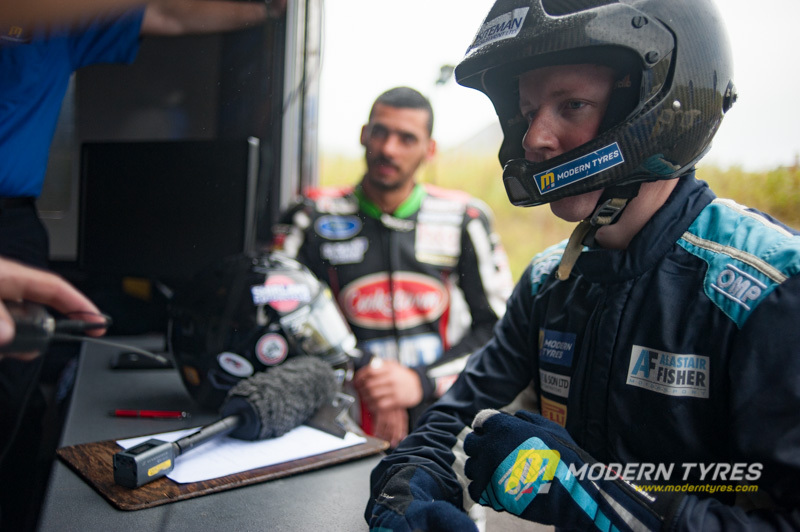 Adrian Logan kept the pace with his own unrehearsed, quick witted, fast draw commentary providing an added swiftness set against the momentum of the race. 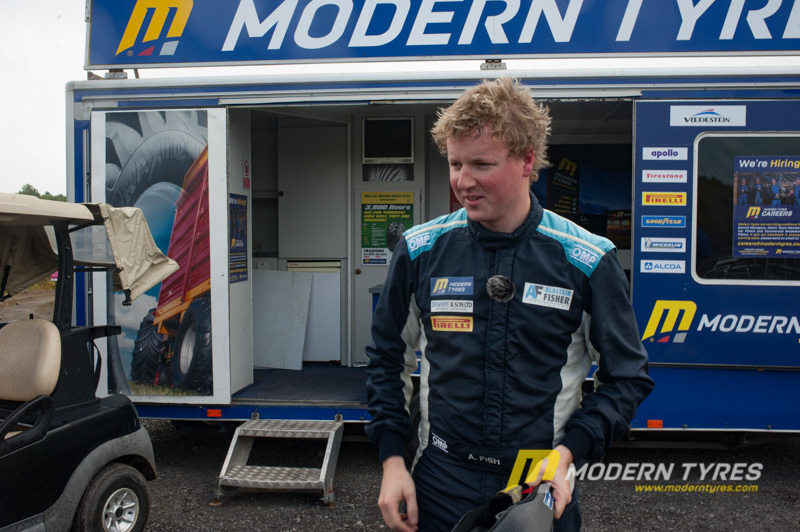 Even though both drivers were under pressure to get the times down, Adrian Logan took the whole thing in his stride with his artisan quality reporting. With the timed race over there were a few locations to cover before wrapping up for the day. 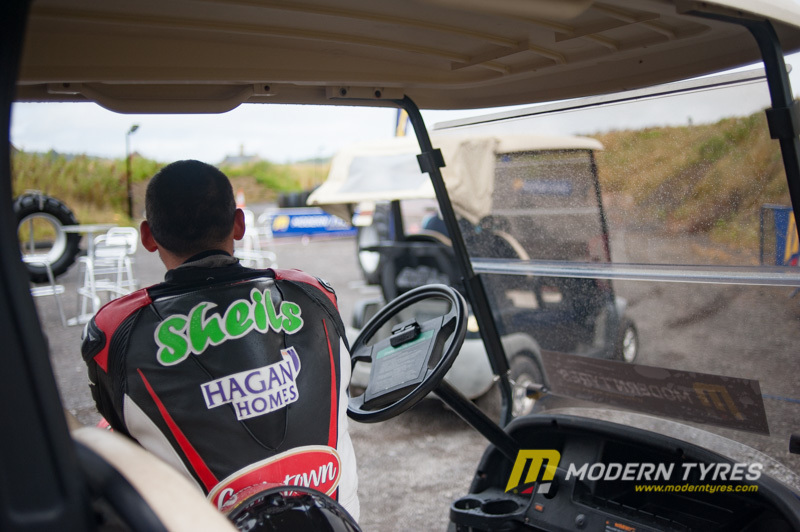 The first tee was the place and the team gathered for some last minute cuts before heading back to their separate ways. Not quite the end. 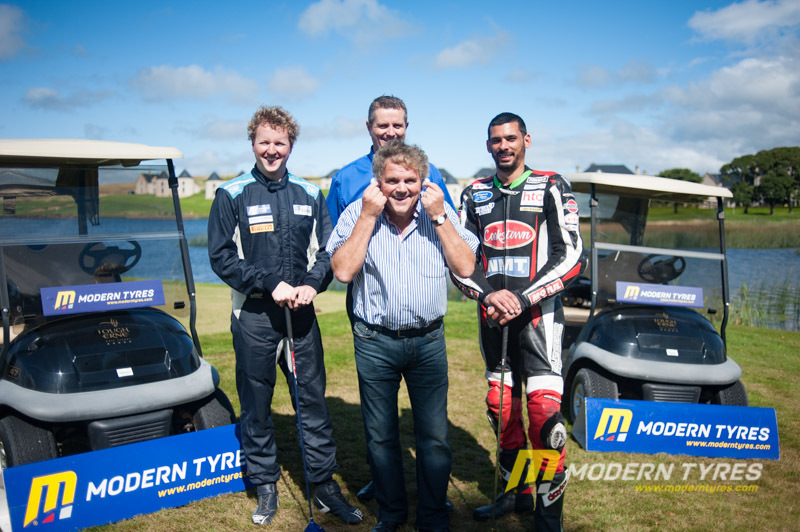 The Modern Tyres Golf Cup will be held on Friday the 24th August with over 100 golfers from across the country and afar. 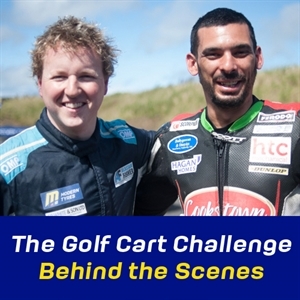 At the evening reception the Golf Cart Challenge will be screened before a captive audience before revealing the total amount raised for the Make-A-Wish Foundation. 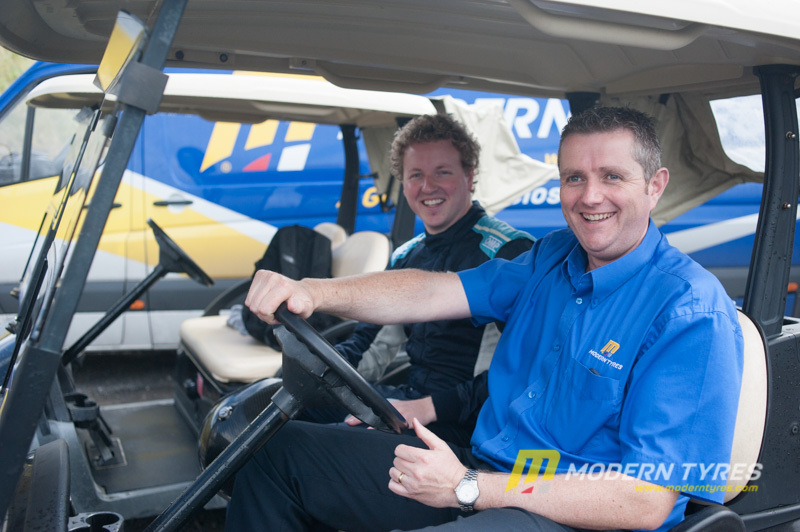 A really big thanks goes out to the two drivers, and fantastic sports, Alastair Fisher and Derek Sheils. 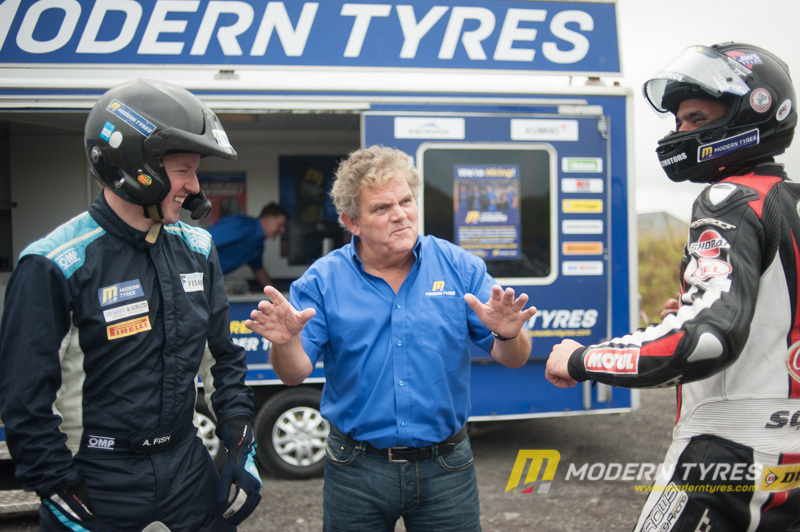 The one and only, Nobody Does it Better, Adrian Logan, Modern Tyres Marketing and Sales Manager, Stephen Shaw, MacAV Productions, The Lough Erne Resort Hotel and The Make A Wish Foundation. 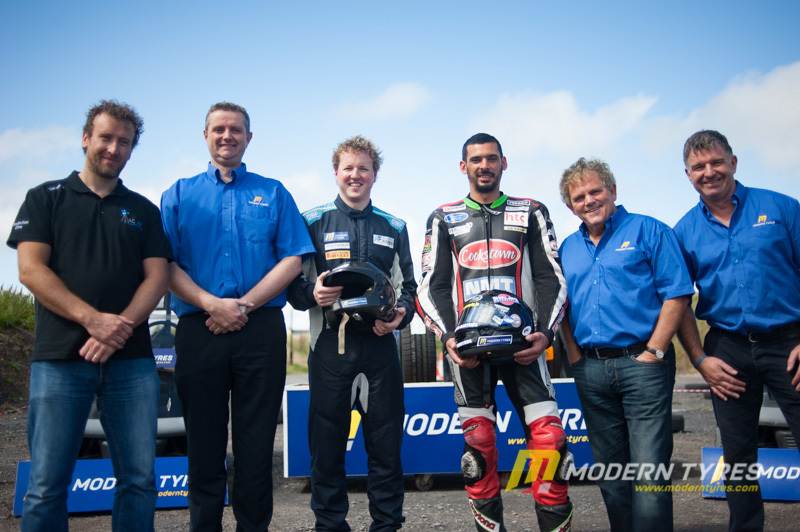 An extra cut of the race and reveal will be shown on the Modern Tyres Face Book page on Saturday the 26th August. We have also set up a donations page for the Make A Wish Foundation on the Just Giving website. Any donation no matter how big or small will be greatly appreciated. Thank You.